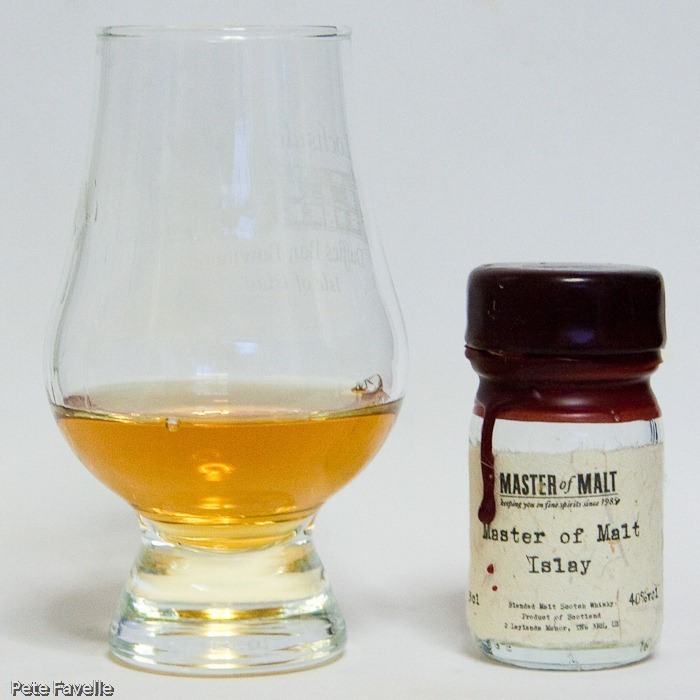 Not satisfied with being a great whisky retailer, Master of Malt also produce a number of their own bottlings – often from anonymous distilleries, with only a regional hint to their origins. This is their Islay bottling, produced with no age statement and only a hint of a “south coast style” – my money would probably be on the Laphroaig, but don’t hold me to it. The nose is certainly all Islay – buckets of deep, smokey peat with some sweet honey-like undertones and just a hint of citrus. 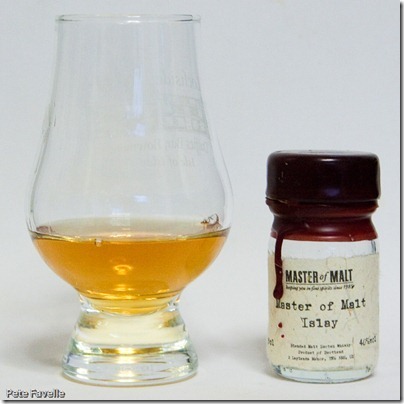 Water leaves the smoke there, but somehow transforms it to a more woody smoke than a peaty one. In the mouth, there’s a wonderful sweet caramel start at the tip of your tongue, with plenty of smoke making an appearance too. That sweetness lingers impressively, before fading to leave a nice dry finish. If anything, water makes that sweetness even more pronounced, although it also exposes some slightly rougher elements that are reminiscent of ash. So, a dram definitely better neat rather than watered, but very enjoyable either way.